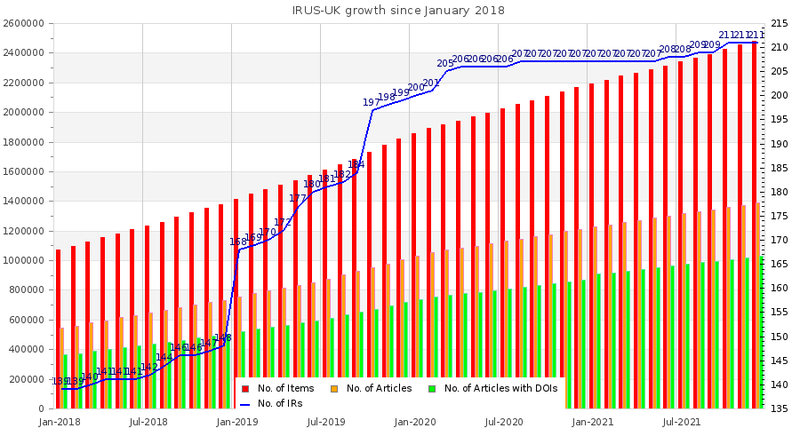 IRUS-UK (Institutional Repository Usage Statistics UK) is a national aggregation service, which provides COUNTER-conformant usage statistics for all content downloaded from participating UK institutional repositories (IRs). I do really look forward to using the download figures from your portal. They are reliable and very useful.